After the change in regulations in 2007, several distilleries in the U.S have started making absinthe. Some excellent, some not. But it's interesting to see how the new market wasn't immediately flooded with imported essence mixes but rather domestic, distilled products. 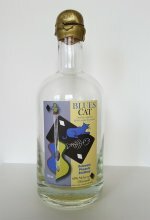 American made small batch absinthe built on knowledge, heart, blues and a whole lot of soul stretching from down to earth southern backwood riverbanks to upstate classy. 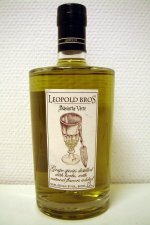 Leopold Bros is a small batch distillery in Denver, Colorado, that makes pre-prohibition style Whiskies as well as Gin and Vodka. After regulations for thujone changed in the US in 2007, they also make an authentic absinthe verte, and an interesting one at that. The first absinthe to get approval in the US since the ban was lifted in 2007. 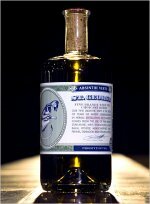 Manufactured in an old naval hangar outside San Fransisco and with ingredients not commonly found in traditional absinthe it is an interesting product on several levels.